The visionary behind MB&F shares his viewpoints on horological machines. What makes a watch a machine? A mechanical watch is the ultimate machine! It is 100 percent made of metal, with tens or hundreds of moving parts, and the energy is also given (and stored) through mechanical processes. We call our timepieces machines because their primary focus (contrary to 100 percent of all other watches) is not to give time. The primary focus is to create a three-dimensional mechanical work of art, which by the way give time—but as a paradox, chronometry is, on the other hand, important for us. At MB&F we deconstruct the most beautiful traditional watch movements to reconstruct them as 3D machines. In fact the whole process of why we do this, and how we do it, makes up for at least half the interest of our creations. How have you broken through the traditional constraints of watch design? What are the biggest barriers to reaching the next level? The first barrier is psychological. Breaking free from the 700-year-old tradition of a flat dial and hands , of a traditional “sandwich” movement, was clearly the most important and difficult step. Today, if you look at our HM1, which was deemed pretty radical, even revolutionary, four years ago, it is in fact a hybrid: there is still a flat dial, traditional hands, and the same construction as most existing watches. And then, slowly we broke free with HM2, HM3, until HM4, where we clearly have taken horology to another level. The second barrier was to achieve a creativity which would be driven 100 percent by our own desires rather than by wanting to please customers. After 14 years of creating for others, so as to sell more and to make more money for the shareholders, this creative freedom I battled so hard for was not immediately achievable. When you break free from secular chains, part of the chains still remain clinging to our wrists and ankles. I can say that now virtually six years after having created MB&F, I am finally psychologically free to create 100 percent selfishly. How does a horological machine take shape? What is your role in that process? The creative process has always been the same for all our pieces. I have ideas, crazy ideas, disruptive ideas, which stem from my life, childhood, dreams, etc. I sketch them or imagine them in my mind, and then when I really like what I see, I will work hand in hand with designer extraordinaire, Eric Giroud, who translates my sketches and ideas into 3D objects. It is a process which can take between three weeks and three years. We never stop until he, Serge Kriknoff and I are happy with the outcome. 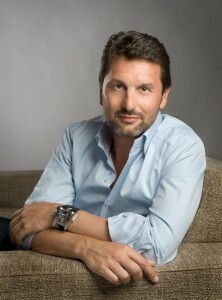 Serge has been my partner in the company for over three years and is the technical whiz kid behind MB&F. He participates very actively with us during this design process to ensure amongst others that our ideas are actually possible to be transformed into a technical reality. Then and only then do we go and see the watchmaking constructors with the challenge of creating a 3D movement/engine which will power up the new machine. They will often not be able to achieve exactly what we wanted and usually come up with alternative solutions. Once all new solutions are validated, we will redesign the piece to incorporate the final choices. Do you feel complications are becoming or will become less important than design? The more technology will take over our lives, the more relevant mechanical horology will become. Of course not as a timing instrument, but as piece of mechanical or kinetic art, as a piece of history, as a piece of human genius and craftsmanship. Clearly, our industry has not found a way to reinvent itself, since it has been more or less copying all that the great masters created between 1780 and 1850 (i.e. 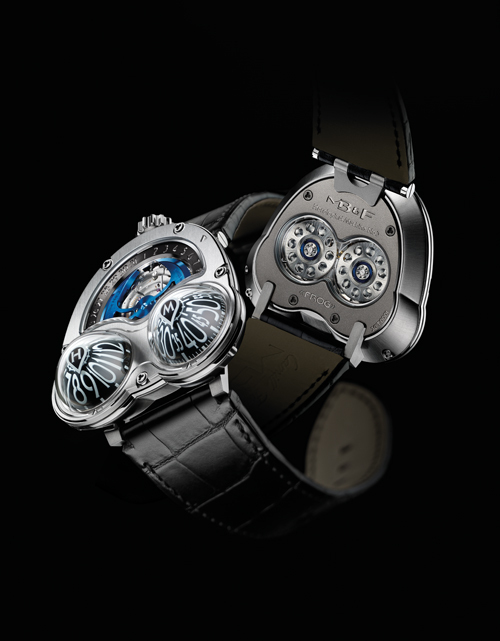 chronographs, perpetual calendars, tourbillon, minute repeaters, etc.). It is maybe time to rethink the concept of horological art. 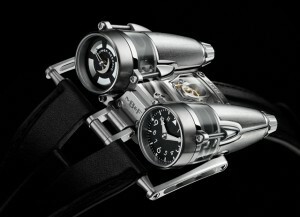 MB&F offers one take on this, but I am sure there are dozens of other contemporary ways of rethinking horology. Other than watches, what personal passions, personal characteristics influence your designs? In fact, apart from the great masters, I don’t believe we are influenced much by what has been done by other watch brands. My main influence is my life, and more specifically my childhood, with for example Grendizer, one of the first Japanese Transformer robot mangas, Star Wars, Battlestar Galactica, and of course the world of planes—I was constantly making model airplanes from the age of 8 to 12.